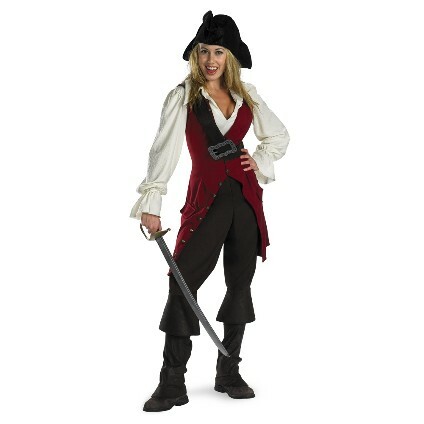 Includes dress, collar with attached cape, headpiece, gauntlets, belt, and boot tops. Includes shirt with attached cape, skirt, belt and boot tops. Includes jacket with printed shirt, tie and vest, mask. Includes dress, puff sleeves, headpiece and choker. Includes shirt, vest, pants, "across the chest" belt with buckle, boot covers, and hat. Includes dress with hairbow, choker, and petticoat. Wig and Toto in basket sold separately. 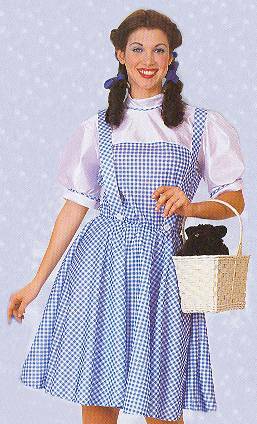 Includes blue gingham dress with hair bows, choker, and petticoat.